The recent Thai Boomerang exercise between the Thai and Australian Air Forces offered a glimpse of the Royal Thai Air Force's Dassault/Dornier Alpha Jets and the Aero L-39ZA/ART Albatros trainers. Note that the L-39 shown below is armed with AIM-9P Sidewinder Air-to-Air missiles. 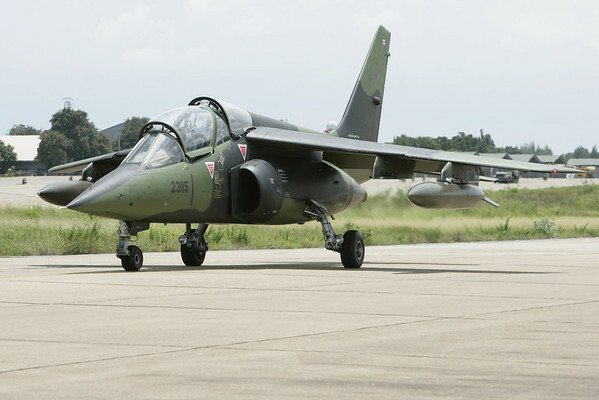 The RTAF currently operates 36 L-39ZA/ARTs with two squadrons and 19 (out of an original 25) Alpha Jet As with one squadron. 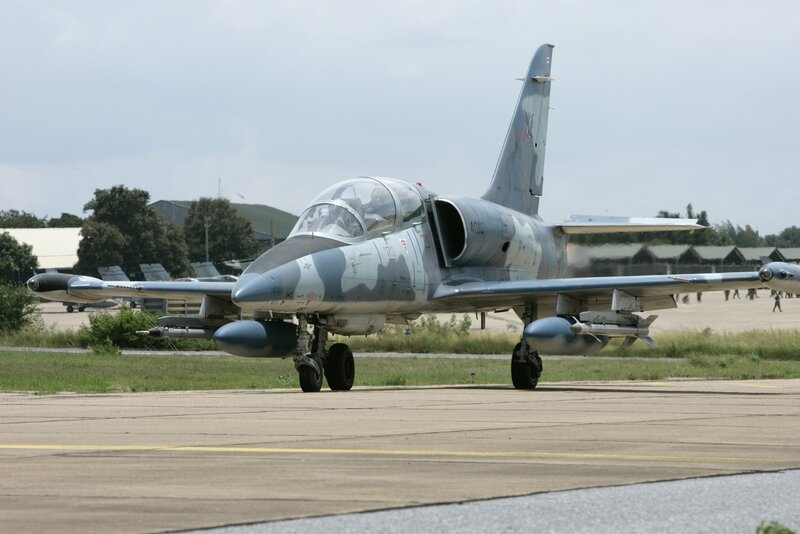 Ex Thai Boomerang 2011 was hosted by the RTAF's Wing 1 at Korat (Nakhon Ratchasima) Royal Thai Air Force Base and also involved the host unit's F-16s along with F/A-18A Hornets of the RAAF's Williamtown-based 77 Sqn. Click on the thumbnails below to view high-resolution images.